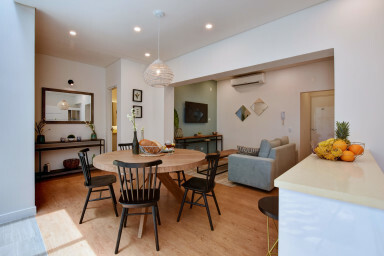 This two bedroom, two bathroom unit is the perfect match for couples, executives, groups or friends, and digital nomads. It has hot water in all faucets, A/C, smart TVs in all rooms, and high-quality queen beds. The living room couch doubles as a sofa bed to comfortably fit an adult or two kids.